Do you ever get the feeling that the very human need to enjoy some of our simple daily pleasures, is being slowly eroded away by reports that we shouldn’t be eating this or applying that because if it isn’t destroying the planet, then it is probably destroying us? Take the glorious indulgence of our routine grabbing of the 'first thing in the morning skinny latté with an extra shot’ - and judging by the desperation on some faces at The Amazing Blog we should perhaps make that ‘the glorious addiction…’ whichever noun applies here, the concept remains the same. However, what if we were to tell you of a coffee company that could sweep away any feelings of guilt in one delicious and prolonged gulp, meet Far Side Coffee. For with every sip that is savoured, we are supporting an incredible initiative, engaging with members of The International Women’s Coffee Alliance which brings ‘every woman together in the coffee sector from Crop to Cup, by transforming their lives and wellbeing through strong relationships at regional and global levels’. However, maybe some background on Far Side Coffee would be appropriate here, as the company clearly shares their mission with this global movement of the empowerment women across the board. Founded by Kadie Regan just two years ago, Far Side Coffee began from a need to swig a really good brew … does that sound familiar? Some of us, simply pop in to grab a cup from our favourite barista, but Kadie went a whole other route further, brewing her libation from fresh, and distributing it locally throughout the South West of the UK. In order to expand to further markets, Kadie needed to prolong the coffee’s shelf life, but without compromising the cold brew process or adding any ‘nasties’. In 2018, the process was completed, giving a stable shelf life and no changes to the process or indeed flavour. The results speak for themselves, and at our fingertips, we have a choice of two to enjoy - the Peruvian Cold Brew which offers up some intriguingly bold flavours and the Rwanda Cold Brew, which is an altogether more mellow journey with hints of maple nectar and a burst of lemon. However, the Peruvian probably nudges to the top of our chart for it’s darkly bold taste, with an unexpected top note of orange peel. For those who believe their coffee can only come hot in a cardboard cup, we urge you to give one of these two beauties a try. Despite their very different flavours, with each bottle containing the equivalent of 3 shots of espresso in caffeine content,.they are wonderfully refreshing (obviously drunk cold), which gives us the hit we need at whatever time of the day. Priced at around the cost of our aforementioned latté, these goodies can be purchased in a pack of 12 for £36, or a pack of 4 for £13 from their online shop here where there is also an option to order a box of 12 containing a handy mix of origins. And in case the Taste Police are watching, they are all vegan, sugar, dairy AND gluten free, meaning a hit of the rich stuff comes without the pangs of guilt. 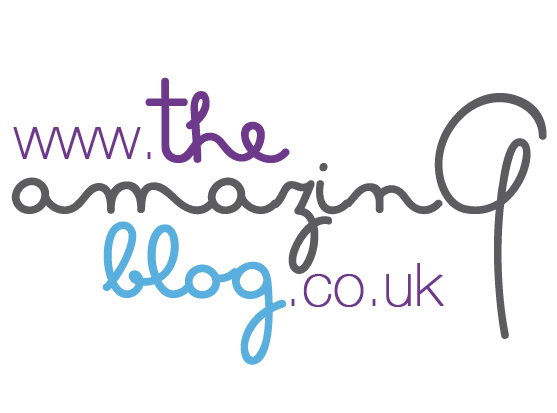 February is here, and we are proud to say that we are keeping to our New Year’s Resolutions at The Amazing Blog (well, for the most part anyway). Many resolutions revolve around health and fitness, aiming to make 2019 our year of maintaining a healthy body and mind. We were therefore excited to discover the new event, Live Well London, taking place from the 1st-3rd March in Old Billingsgate. This event will encompass a full line-up of classes, workshops, inspirational talks, live kitchen demos and much more. 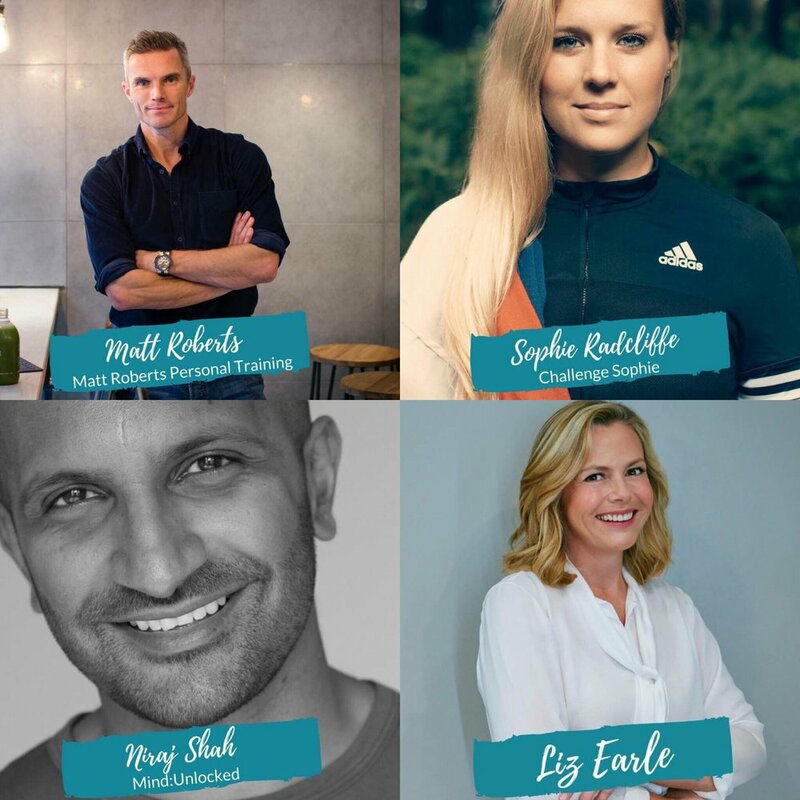 From fitness to nutrition, beauty and well-being, Live Well London offers a number of contributors and influencers who will be giving well-founded advice, from both personal and professional experiences. This ensures that you will leave having gained wisdom from a range of experienced professionals. Understanding the need for a varied range of advice, organisers have secured speakers from all walks of the fitness and health industries. Matt Roberts, one of the UK’s leading personal trainers, and best-selling fitness authors, will be on hand to provide science-based advice, to help you live a more energised life. The founder of Mind and Meditation, Niraj Shah will imparting her knowledge for those looking for well being and inspiration. If that’s not enough, then skincare expert Liz Earle will be offering advice on how to really take care of your skin. These names are just the tip of the iceberg, with a vast amount of other speakers with equal amounts of wisdom to share. Click here to see what's on over the course of the three days. The event will also include sessions from More YOGA and Barre Studio, unique and popular classes that prove exercise isn’t limited to running on a treadmill (although this is of course allowed if it’s your thing). The event focuses on four key areas: Well Moved, Well Balanced, Well Nourished and Well Restored. Well Balanced will help you to find new ways of moving, from addressing fitness crazes, to explaining the benefits of HIIT or Pilates. Well Balanced is centred around mental health, an ever prevalent and important topic. You can expect advice on mindfulness and meditation, as well as life-coaching and therapy. Well Nourished will focus on getting the glow from within, with tips and tricks on upping your intake of vitamins, and nutritional food and drinks. Finally, Well Restored will allow you to discover retreats, spas, wellness holidays, courses and more - because we’re all in need of a little escape sometimes. We predict tickets will sell fast for this event, and as they are limited, we urge you to order sooner, rather than later. If you’ve fallen off the New Year bandwagon, or are simply looking for ways to ramp up your healthy routines, then we’re sure there will be something for you. Click here to purchase a ticket from £35. How about a bit of Latin to kickstart the brain cells today? Eucalyptus Camaldulensis to be exact, for that is the Red River Gum Tree which gives us - with the help of an amazing colony of hard-working busy bees, the truly delicious Red Gum Unpasteurised Honey from Necta & Hive. In a world where some of our favourite things are being added to, or having bits taken away, it is so refreshing to open a pot of this wonderfully lusciously thick liquid that is unadulteratedly pure. The temptation for us at The Amazing Blog is to simply stick a finger in and devour the whole pot! This is a danger that has to be resisted as this is a honey from the serious shelf in the larder, primarily because it is considered quite rare owing to the unpredictable nature of it’s production. The flowering intensity of the Red River Gum Tree varies, and therefore the amount of pollen the bees can collect from the delicate creamy leaves is changeable from year to year. However, the resulting nectar is well worth waiting for, as it contains naturally occurring powerful antioxidants, flavonoids, known for their anti-inflammatory health benefits. The numerical TA rating of active honey indicates the strength of the antimicrobial potency of the honey. This 10+ TA Red Gum Unpasteurised Honey has medium antimicrobial activity and healing properties to maintain good health. The fact it also tastes delicious is the molten icing on the cake. We tried out three recipes using this jar of sweet wonder from the suggestions on Necta & Hives website here - waffles doused in the golden potion with blueberries sprinkled on top clinging to the viscous liquid; and a pear mocktail which of course proved a very popular choice here. Clearly this honey is a versatile addition to any well-stocked cupboard. Necta & Hive pride themselves, quite rightly on sourcing the very best honeys to bring to the market place, it isn’t simply a matter of tickling the taste buds favourably, but also ensuring the provenance of each product. The purity of their honeys is paramount, with attention paid to the exact location of the apiaries, often in remote and protected places, making sure that they are located away from pests, chemicals and other contaminants. Each batch is regularly tested by an accredited laboratory to measure Total Activity levels (this one has a TA of +10), ensuring the integrity of the honey. For further details of the whole Necta & Hive range, visit here, where there are countless more recipe ideas too. To purchase you own pot of yummy Australian Red Gum Unpasteurised Honey see here it is £30 for a 250g pot, and a little really does goes a long way. With February 14th fast approaching, you might be thinking about purchasing a little something for a loved one this Valentine's Day? Whether that's the case, or you're just looking to treat yourself, we’d like to provide a little bit of inspiration for you, here at The Amazing Blog. We like to gift perfume, but knowing exactly which fragrance to choose can be a bit of a minefield. This is where SNiPH comes to the rescue with their subscription service providing a plethora of different scents to choose from. The brand shares our belief that finding new fragrances can sometimes be overwhelming, so we were excited (and grateful) to discover that they have done the work for us. By sampling vast amounts of scents from around the world, they then cleverly curate them altogether. Founders, Tara and Lisa wanted to make the world of fragrance a less intimidating one, offering to help us to discover new scents that we would perhaps not initially choose. The system is a simple one, either pick from their online shop (here) or subscribe to their monthly box, where you will have a monthly surprise delivered directly to your doorstep. Either way, you'll find a comprehensive selection of fragrances on the SNiPH website. They offer their 'Top Lists' for Men, Women and Unisex fragrances, which is brilliant for helping us to choose from the vast number of choices. We found this very helpful! OK so let’s tell you what we tried. Firstly, the Biehl Parfumkunstwerke - PC02 EdP, a fruity and sweet fragrance from German fragrance company, Biel Parfumkunstwerke. We were surprised by the staying-power of this scent, a sweet yet spicy aroma that gently lingers. As with all fragrances, this perfume came with a fragrance card, which is very beneficial for helping to explain this complex notes of the fragrance to others. We received this as an 8ml atomiser, in a very stylish and sleek SNiPH branded black metal case, for £18. That said, you can purchase it without the case, or in a full size bottle (100ml) for £139. The other fragrance we tried was Histoires de Parfums – This is Not a Blue Bottle 1/.2 EdP This instantly became one of our favourites at The Amazing Blog. It is a delicious, versatile and refreshingly light fragrance. Some of us here are particular fans of vanilla, so the further additions of ylang-ylang and pink pepper only further heighten our delight with this fruity and floral scent. Sourced from the famous French perfume house: Histoires de Parfums, we think that this perfume is something quite special. We also received it in the SNiPH black metal case (once again for £18, see here). After researching this perfume on their website, we saw that it also comes in a beautifully graphic and colourfully decorated bottle, as a rather appropriate named: 'This is Not a Blue Bottle'. Making it perfect for gifting, the full 60ml bottle is available here for £85. Now if you're thinking, this all sounds great but I still have no idea which one to gift, don’t fret. SNiPH have recognised this inevitability, providing the option of gift cards (see here). Available for three, six and twelve-month subscriptions (ranging from £40-£130). All your recipient will need to do is choose a theme, and SNiPH will do the rest. They will receive a specifically chosen scent every month (within an 8ml case as photographed above), with free shipping and the option to cancel or pause anytime. What better way to gift the gift of fragrance!